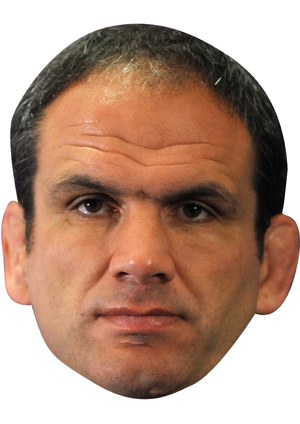 Martin Johnson said this week that he is happy living a normal life and has no burning desire to get back into rugby at any level. I'd say that's a huge shame. I know the popular media narrative is that his brief time in charge of the England team was something of a disaster, but I'm afraid it's a narrative I don't particularly buy into. Yes, the England 2011 World Cup campaign was marred by some indifferent displays on the field and poor discipline off it (where Johnno was, in my humble opinion, let down badly by certain players and was disgracefully hung out to dry by the English press). Let's face it, however, going out to France in the 2011 quarter finals turned out to be a major triumph when compared to the utter horlicks that followed 4 years later and the above narrative also conveniently ignores Johnno's overall record in charge which included winning the Six Nations title in 2011, drawing a series in Australia in 2010 and giving international debuts to the likes of Ben Youngs, Dan Cole, Courtney Lawes, Chris Robshaw and Dylan Hartley - all regulars under Eddie Jones when fit and available. Given the flak that Johnson had to take on the chin post-2011, it really should come as no surprise that he has decided that he now prefers life out of the limelight. It remains a massive shame, however, that his vast experience - and that of many more of England's 2003 generation (the likes of Dallaglio, Vickery, Dawson, Thompson, Bracken, Robinson etc etc) - appears now to be lost to the professional game.